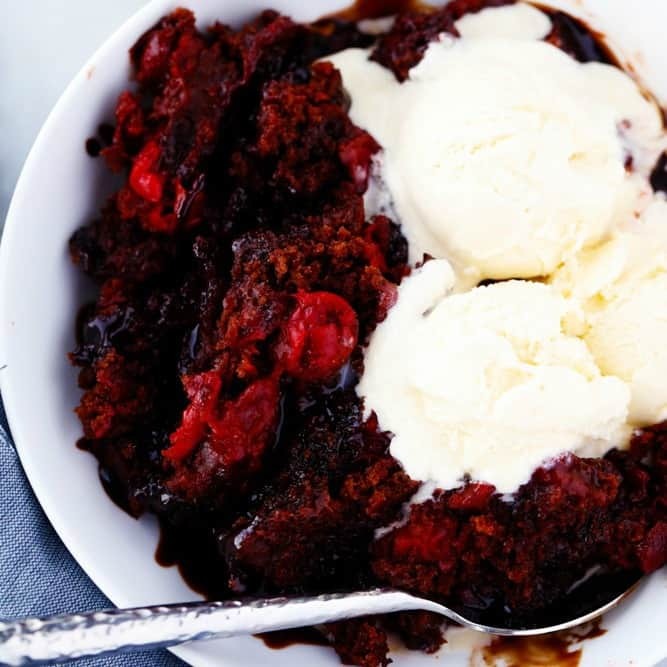 Slow Cooker Cherry Chocolate Hot Fudge Cake is a perfectly tender chocolate cake with hidden cherries inside. It creates a magical fudge sauce while it is in the slow cooker and is completely irresistible! 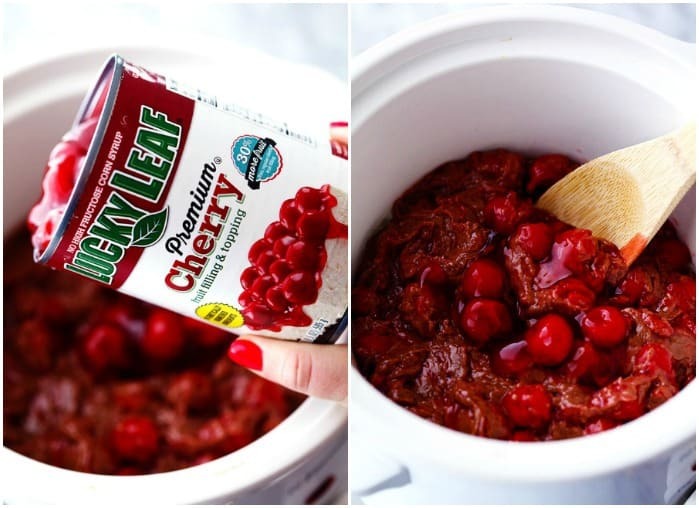 I have got a delicious dessert to share with you today using Lucky Leaf’s Cherry Fruit Filling. 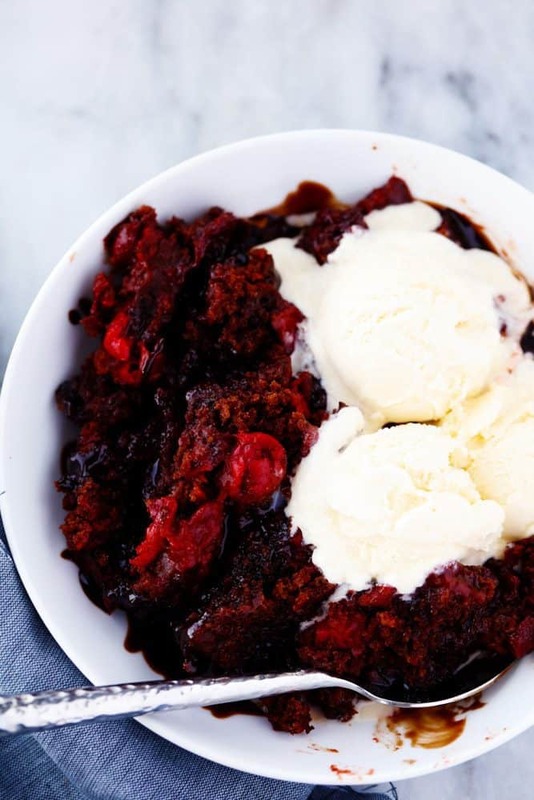 I have yet to make a dessert in my slow cooker and I have been missing out! 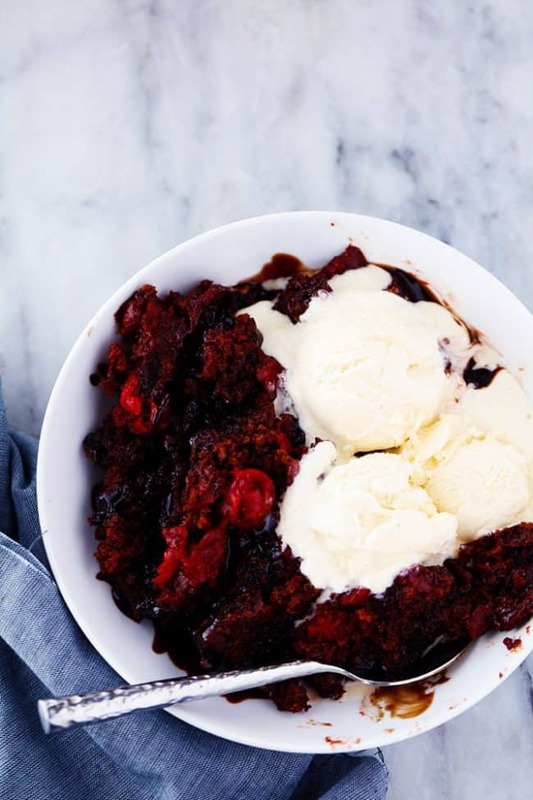 I couldn’t wait to test out this Cherry Chocolate Hot Fudge Cake out in the slow cooker. Cherry and chocolate is just meant to be together. 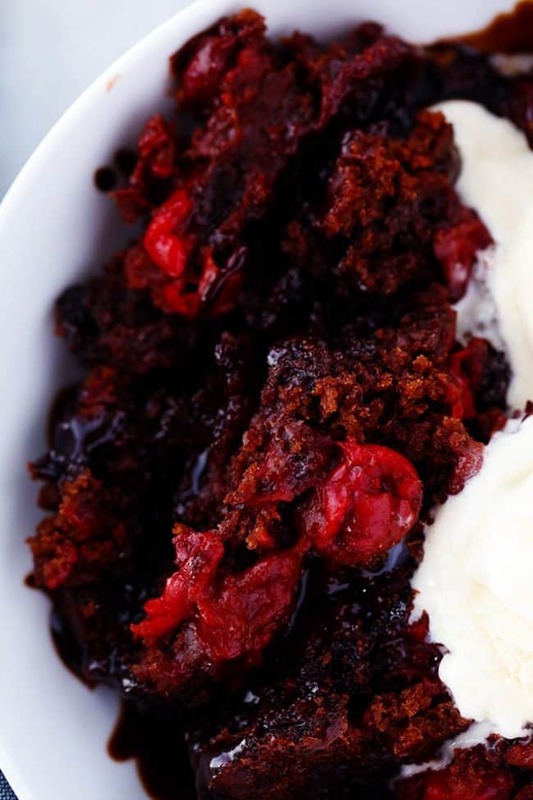 The hidden cherries inside of the warm and gooey hot fudge cake is incredible. The hot fudge sauce is magical. You pour it on the top of the dessert and let it work its magic as it cooks. 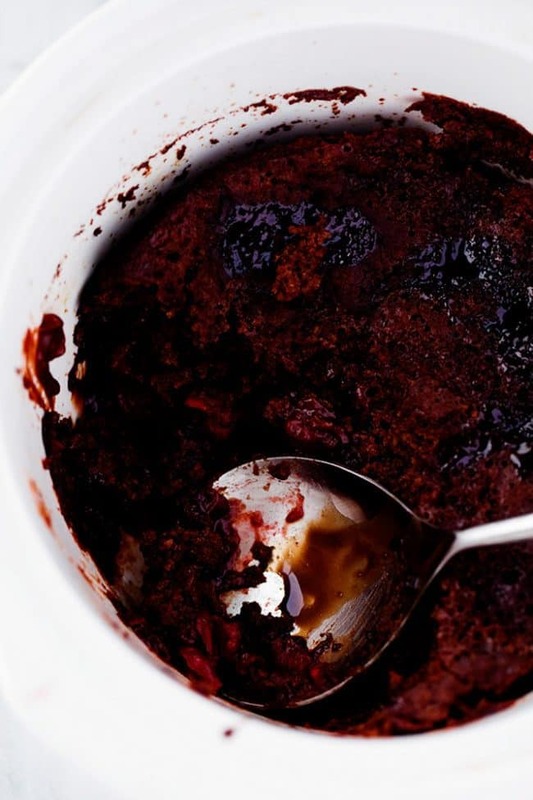 It creates a gooey hot fudge sauce swirled throughout the cake as it slow cooks. The house is filled with such a delicious chocolate aroma and it cooks so it is perfectly moist and tender. I have never had a more tender cake and the hidden cherries inside were definitely my favorite part. The hot fudge sauce swirled throughout makes the cake ooey and gooey and it makes the perfect warm and delicious dessert. This is a must try dessert! You will love every single thing about it. It is amazing that such a delicious cake can cook right in your slow cooker. It is magical with the hot fudge sauce that develops as it cooks. 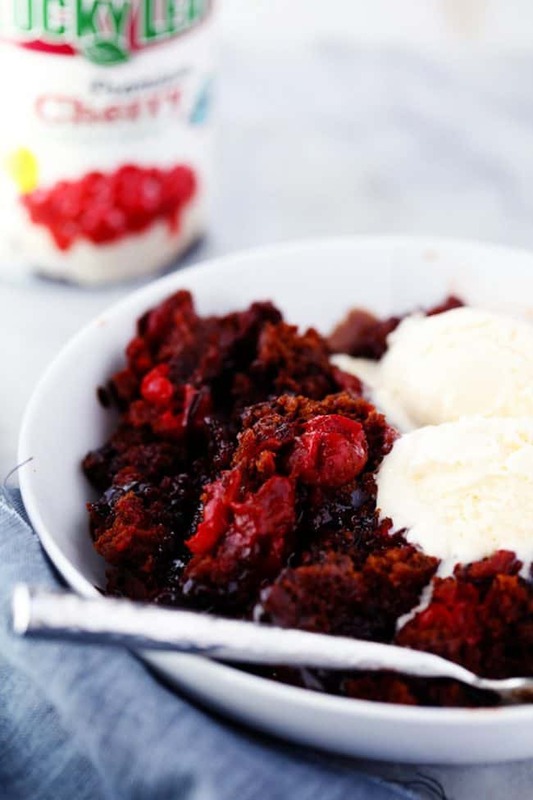 Serve this with a scoop of vanilla ice cream and you will truly be in chocolate cherry heaven! Spray a 2- 3½ quart slow cooker with cooking spray. In a large bowl, mix flour sugar, cocoa, baking powder and salt in a bowl. Stir in milk, oil and vanilla until incorporated and smooth. Add the cherry fruit filling and fold into the batter. Spread in the bottom of your slow cooker. To make the hot fudge sauce: In a small bowl mix the brown sugar, cocoa, and hot water. Pour evenly over the batter in the slow cooker. Cover and cook on high for 2- 2½ hours or until toothpick inserted in center comes out clean. Turn off the slow cooker and let stand for 30 minutes. Serve with a scoop of vanilla ice cream. If you dont have a slow cooker..what temp should I put this in the over for and for how long? Looks delicious! I’m trying it for company tomorrow night. Thanks again for these recipes. It was a lovely dessert. We thoroughly enjoyed it. I made it in a 9×9″ pan and baked for 30+ minutes. Thank you!